1. PERMIT PARKING RENEWALS: For Resident and Non-Resident Owners. 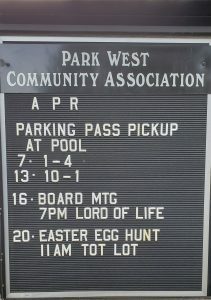 The new PWCA owners’ parking permits will be distributed between 1 p.m. and 4 p.m. on Sunday, April 7, 2019 and between 10 a.m. and 1 p.m. on Saturday, April 13, 2019 at the Pool Parking Lot. TENANT PERMITS ARE NOT IMPACTED. A postcard has been mailed to you with additional information. There are 30+ resident owners who have not submitted at least their applications in at this time. EFFECTIVE MAY 1st – ANY VEHICLE WITH A GREEN PERMIT WILL BE TOWED AS THOSE PERMITS WILL BE EXPIRED. If you have not submitted at least your application in – please do so AS SOON AS POSSIBLE. You are at risk to not have new permits ready for you in time – if that is the case you will either need to get temporary visitor permits or park off community property until you obtain your new permits. Registrations are requested with the applications to ease the issuance process – if you elect to bring your registrations on the 7th and the vehicle registration address and name does not synchronize with the owners’ information exactly you may be asked to return on the 13th to pick up your permits. 2. 2019 SPRING TREE WORK: is in final stages. Sod will be placed over the stump locations. If you are near those locations we are looking for volunteers to potentially water the sod. The Association will supply a flow meter and all equipment to water the sod. 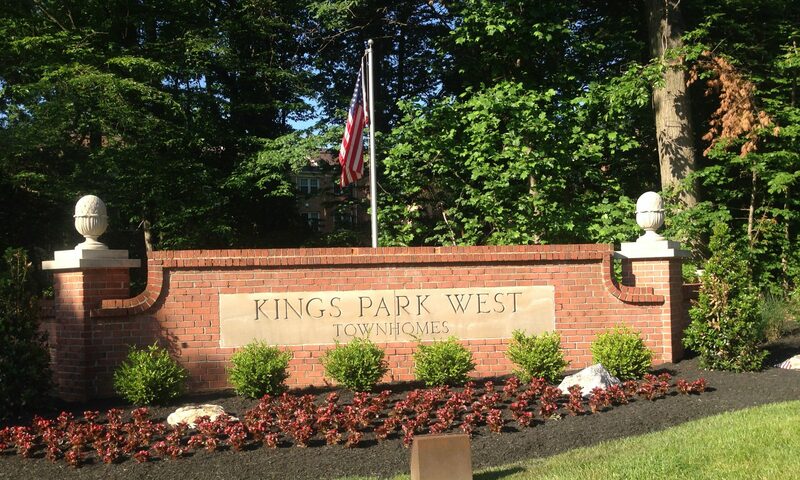 Please contact either president@parkwestcommunity.org or environment@parkwestcommunity.org if you are open to help. 3. ROAD RAIDERS CLEANUP EVENTS: please consider joining these broader community initiatives. They occur each month – speak to Matt Strain or myself for more information. The Spring Parks & Lake clean up at Royal Lake and Lakeside parks will be Saturday April 27th. 4. EAGLE SCOUT PROJECTS: Should any of you know aspiring Eagle Scouts, the Association has several projects that would fit the requirements. Please contact president@parkwestcommunity.org if you are interested. 5. POOL SEASON: multiple projects will be occurring at the pool over the next two months. With Joan’s passing we REALLY need people to step forward to help with the social aspects of the pool operations. Please contact pool@parkwestcommunity.org or social@parkwestcommunity.org if you can give some time to help your community. 6. EASTER EGG HUNT: will occur on April 20th from 11AM to 1PM. I’ll include the flyer in the next message or see the website. There will be a cleanup event staged that morning – more information to follow.